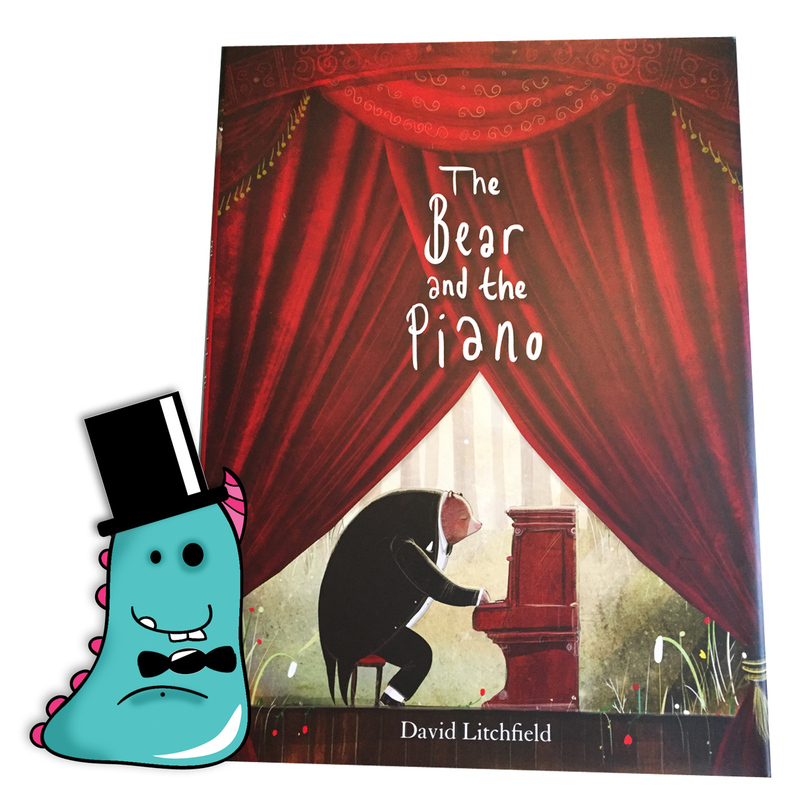 Book Monster has dressed up especially for this important review of The Bear and the Piano by David Litchfield! I am very lucky in my job as a children’s library assistant. Every day numerous wonderful picture books pass through my hands, a constant source of discussion and excitement among staff and borrowers. 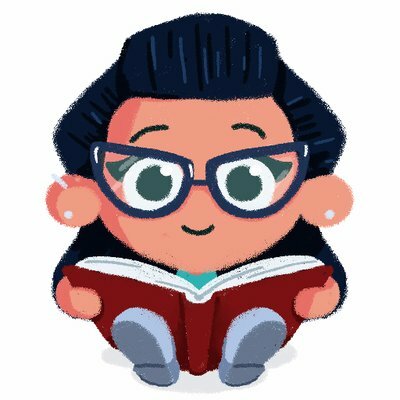 I have huge admiration for authors and illustrators for their individual styles, writing ability and unique ideas. 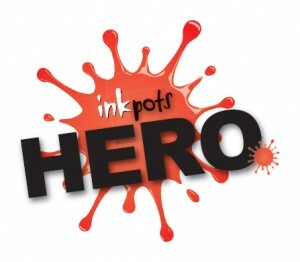 Creating children’s books is not an easy option! I have many favourite books, but sometimes, something quite special comes along that steals my heart, and along with it the heart of our borrowers. 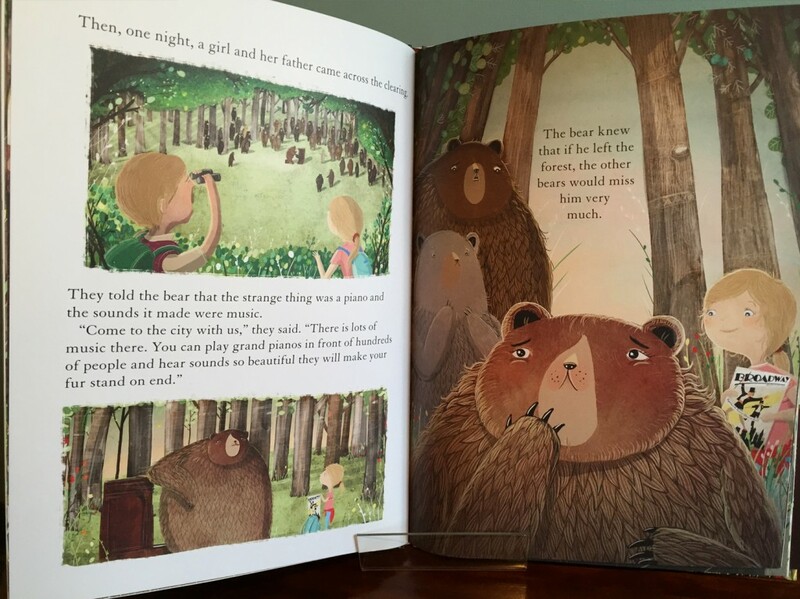 The Bear and the Piano is just such a book. I first read about it on the wonderful Mudwaffler Blog (https://mudwaffler.wordpress.com) and was struck by the beautiful cover illustration. On publication day I had this book in my hands, eager to see what it really had to offer. In brief, this is the story of a bear cub who stumbles upon an old piano in the forest, and over many years and with much practice he learns to play it. This honed talent takes the bear away from his beloved home on wonderful new adventures and experiences. I will say no more about the plot as I really enjoyed the unfolding journey of this story and want everyone to experience that too. This is a tale about so many things, friendship, discovery, persistence and determination. It is in one word, beautiful. In fact towards the end, when the bear’s fur stands on end … so did mine! I actually found it emotional to read this wonderful story, written in an almost dreamlike fashion, gentle and rhythmic. I cannot wait to read this out loud to children in the library as I know it will be an absolute pleasure do. The writing is stunning, and pulls you gently headfirst into this enchanting story, but the illustrations are something else altogether! 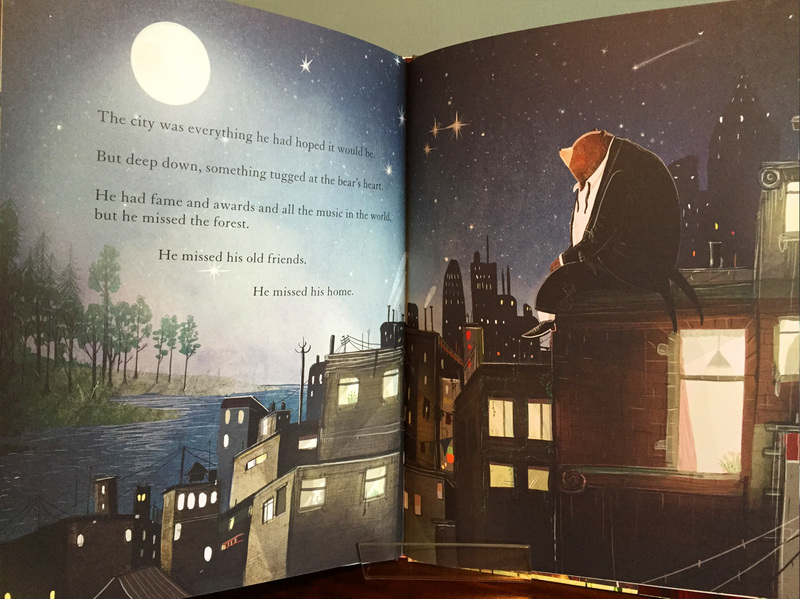 I truly believe this to be the most beautifully put together picture book I have seen for many years. The illustrations are full of detail and depth. The lighting and colours are so carefully executed that each place has it’s own unique atmosphere. The city is bold, buzzy and exciting. The woods are soft, gentle and homely, (as are the characters who live there). The main bear’s expressions are surprisingly static in a way, yet each face expresses such powerful feeling and character. I fell in love with this gentle fellow. I just can’t express the joy reading through this book will give. It’s a future classic, a work of art and a book that should grace everyone’s bookshelf. 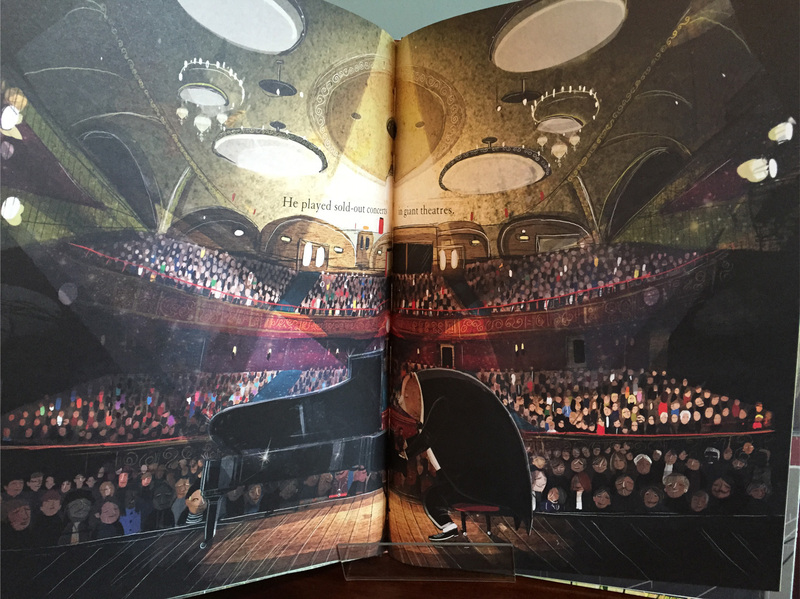 If you are keen to know what went into The Bear and the Piano, please check out David Litchfield’s blog (link below), where he tracked the year long progress of this book. It’s absolutely fascinating to read and worth a look just for the animated promo alone! In short, please do buy this book, you’ll have no regrets. That is all. Straightens top hat. Thanks for sinking your teeth into this Book Monster Review.